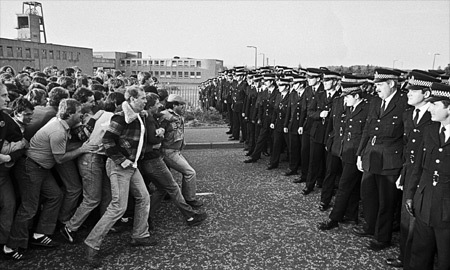 A documentary film celebrating thirty years since the miners strike of 1984/5 with personal narratives interwoven with footage iconic photos of that seminal strategic showdown with the Thatcher government. A battle that wounded her and her arguments until the poll tax finally dealt the death blow to her and her regime of cut throat privatization. What’s changed you may ask? Somethings have tremendously, others, like self centered Tory politicians haven’t. Watch it, get angry, do something.